Quality Assurance is an important aspect of Software Development Cycle and it has become even more important with the advent of mobile applications. This is because mobile applications are typically more complex and needs to be supported across a plethora of platforms. Often the same application needs to be coded in different programming languages to support different platforms for example Objective C for iOS and Java for Android. This results in multiple code base and requires multiple streams of testing. QA also need to pay special attention to ensure that the user experience of the app remains somewhat similar across the multiple environments. Thus traditional QA practices need to evolve to adapt to the needs of the mobile app testing. In this article I am going to discuss the first two phases of QA, Preparatory Phase and Testing Phase. I will discuss how QA needs to adapt to the testing need of mobile applications and include links to resources which will help with the QA process. The Preparatory Phase is the phase when you prepare all the documentation and environments for the testing. This is the phase to ask questions about the business requirements and outline test plan and test cases. There are multiple devices in the market such as iPhone, Android, Blackberry, Windows Mobile, etc and each of these devices support number of versions of the operating system for instance iPhone supports iOS 3 to iOS 7 whereas Android supports 1.5 to 4.3. 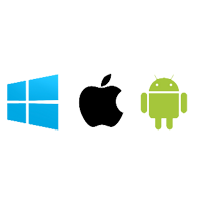 So it’s important to identify which device and operating system combination the application will support. - Which devices are we supporting? - Are we supporting tablets and smartphones? - Which version of the operating systems are we supporting? - Will the app have any functionality that may disabled in older versions? The last two questions could be driven by the features of the application. For instance if the application uses any of the features in the latest iOS e.g. iOS 7 then the application needs to support the latest iOS. Then the question arises if the application should support any of the older iOS in a limited capacity i.e. with some of the new features disabled. QA should work with the Business Analyst or the Product Analyst to determine the target devices. The decision will also depend on the time allocated for QA and the application release date. This is important as there is a plethora of devices and operating systems combination out in the market. Use the answers to the questions in Step 1 to create a matrix to document the target device and operating system combination in the test plan. Then prepare the test cases taking all the information you gathered in Step 1 into account. The test cases for mobile application testing needs to be more high level as the tasks within a mobile app is typically very simple and can be executed with a few simple clicks. Install the necessary software development kit (sdk) such as Xcode for iPhone, Android SDK for android, etc. Typically all these sdk comes with a simulator that can be used for testing. Also resource the main target devices for the final round of testing. Even though majority of the testing can be done on the simulator it is still advisable to test the app on the key target devices every now and then to ensure the usability is consistent between the simulator and the app. Once the build is ready use the respective sdk to run the application on a simulator. Make sure there are no compile errors and if there are warnings go through them to make sure they are not anything significant. Once the build is in a reasonably good shape deploy the build to the device. Follow the necessary process to deploy the build to the device. Go through the resources below to find more information about deploying the build to devices. In conclusion mobile app testing provides more opportunity for QA to flex its muscle and to play a more vital role in the software development cycle. At the same time QA needs to be more careful and assure the app abides by the guidelines of the respective supported environments in order to avoid rejection. I’ll discuss these guidelines in more details in my future post and will outline test cases based on these guidelines.